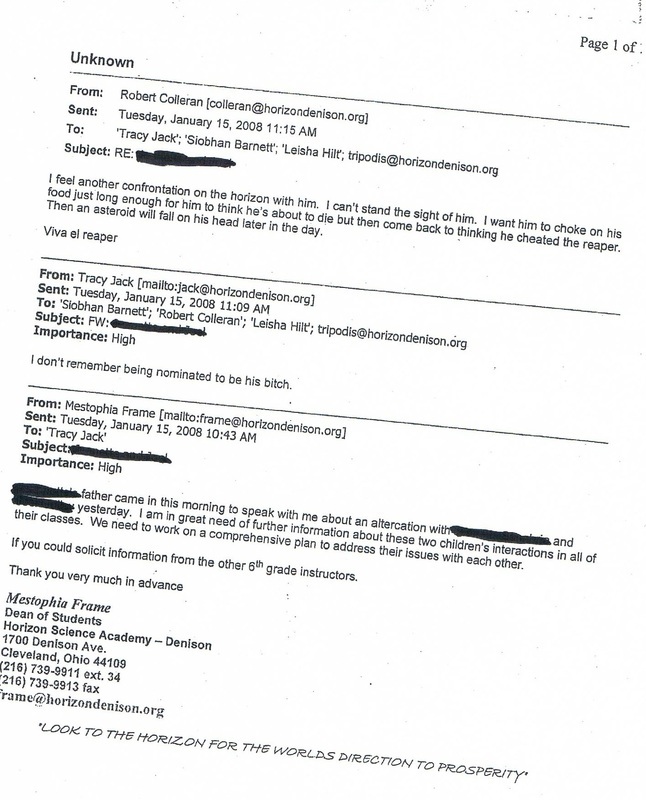 Part 3 of the Trilogy of American Teachers Behaving Badly - CHARTER SCHOOL WATCHDOG http://www.charterschoolwatchdog. 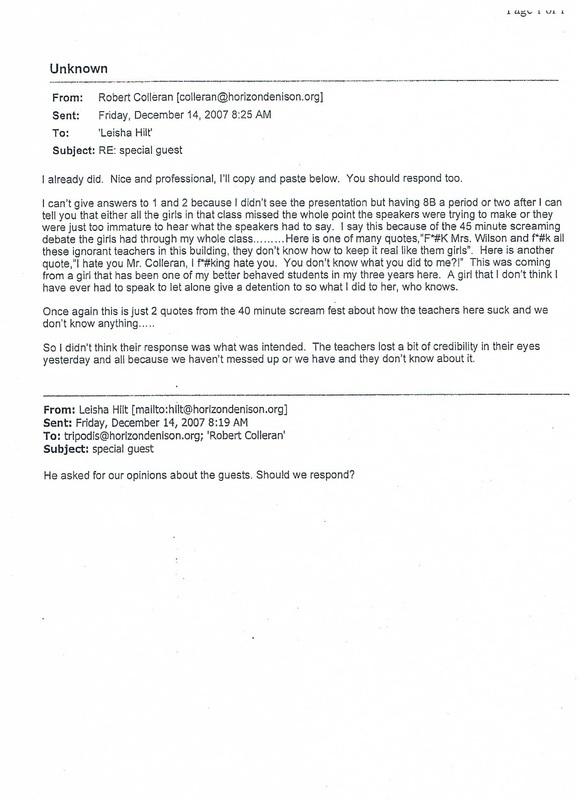 Because our series has been so popular with our readers, we have decided to post another set of the "American Teachers Behaving Badly," emails. 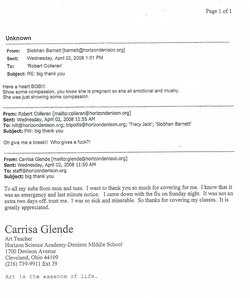 Included in this posting are some of the "denials" from the teachers and secretary. 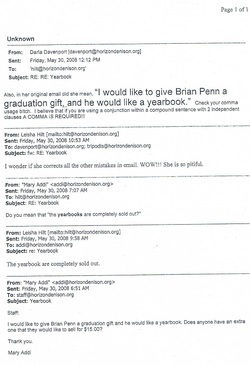 We are not sure why the others did not make "witness statements, " other than perhaps they knew that if the emails were ever brought before a court or jury, that the "truthfulness" of their statements might be called into question. 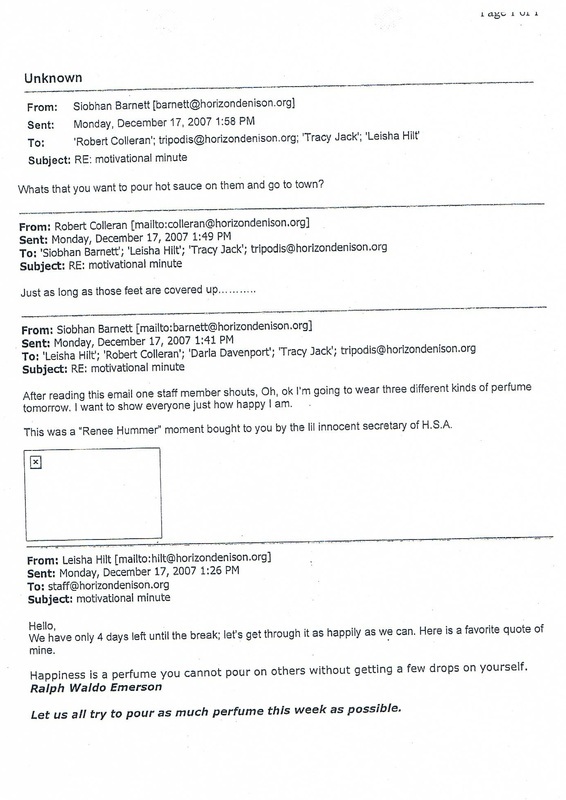 It's interesting to note that their denials lack the same type of enthusiastic prose that their emails have. 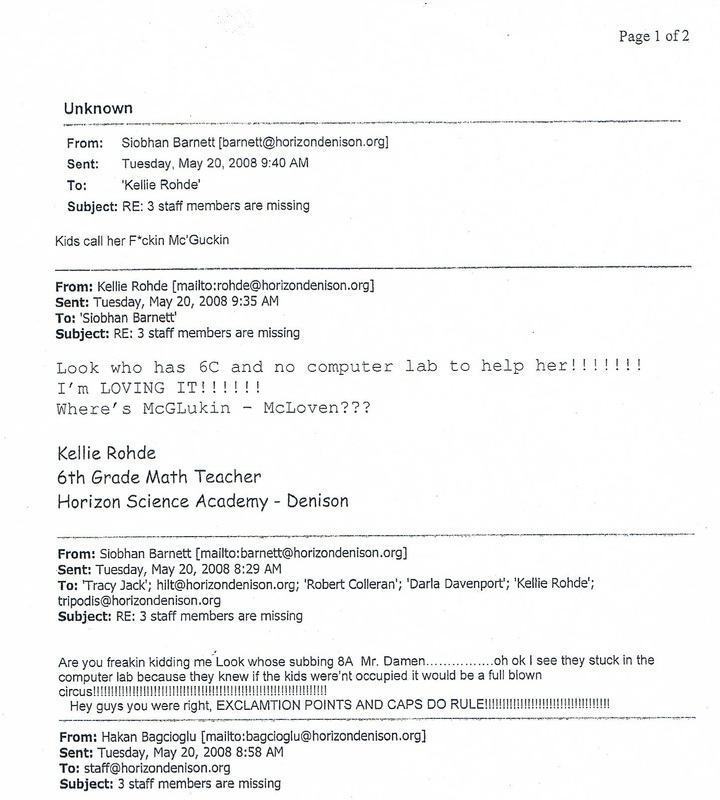 It would seem that their writing skills are best utilized when they are harassing their colleagues and students. 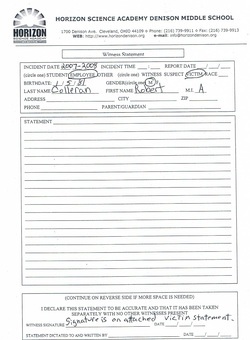 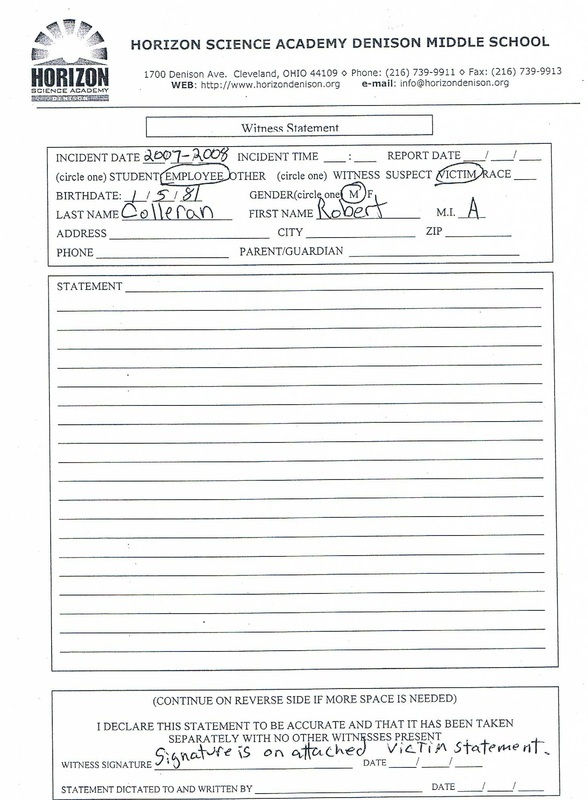 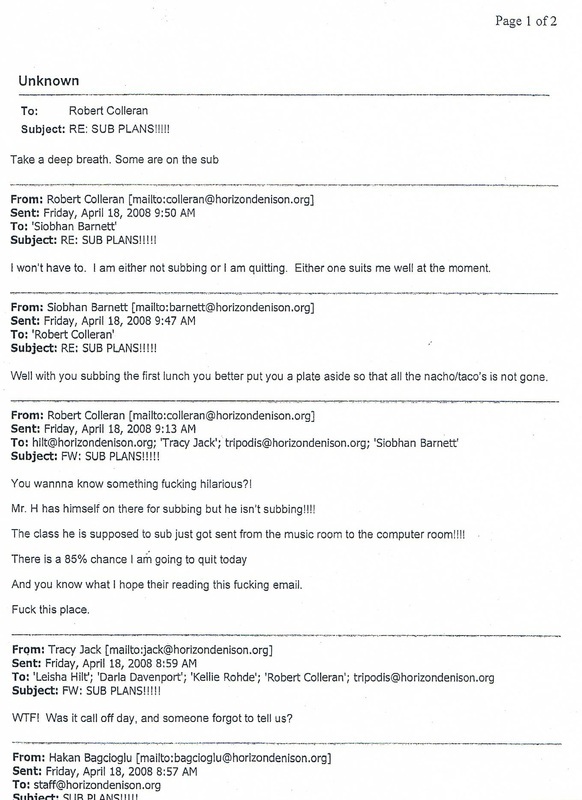 And note that Sagnak signed off on Colleran's statement -- and what exactly does that mean? 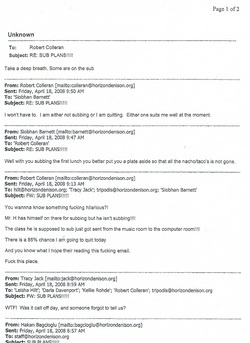 Sagnak reads the emails, should have -- could have -- verified the authenticity of the emails -- and then simply signs off on Colleran's statement; and the world is right again. 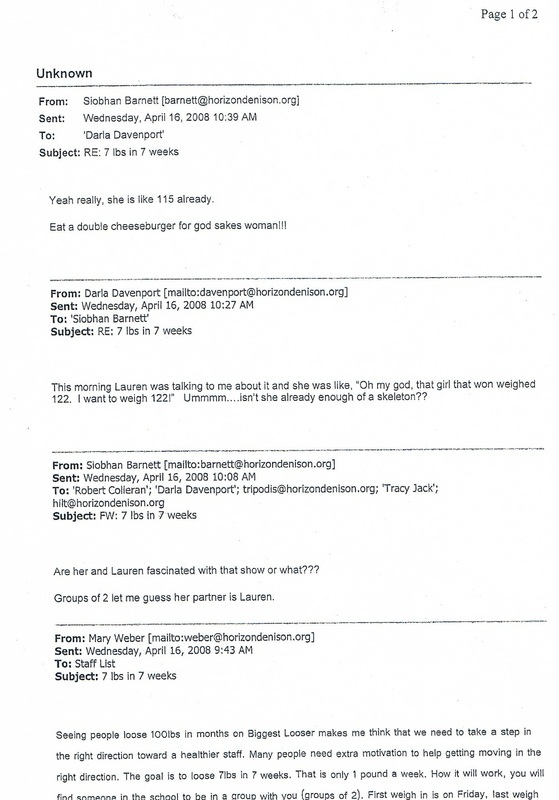 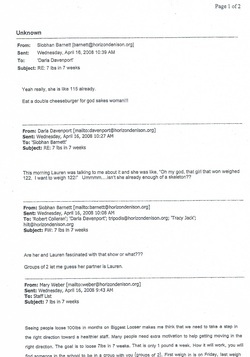 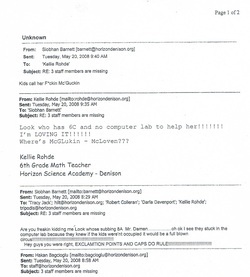 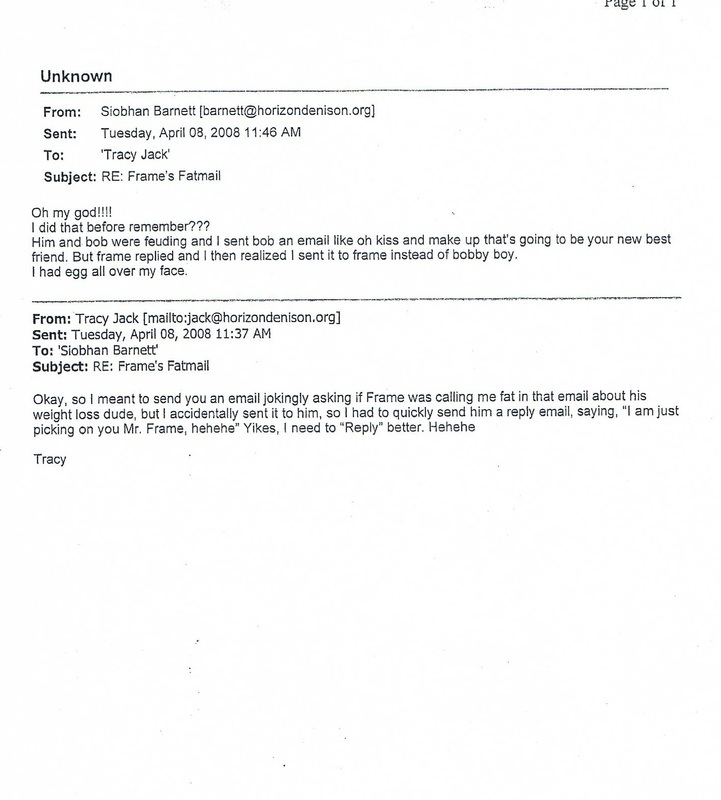 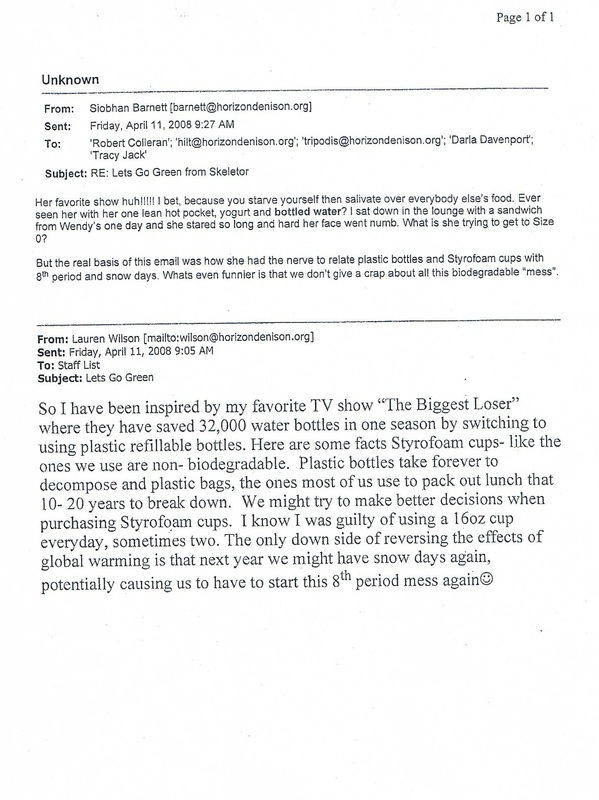 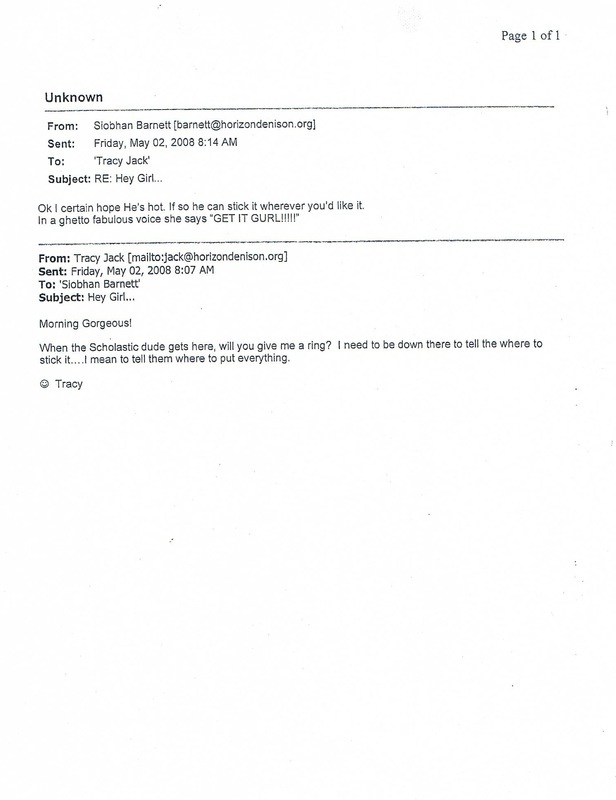 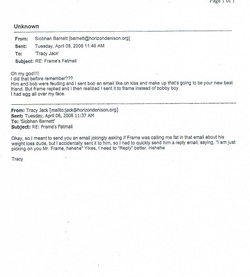 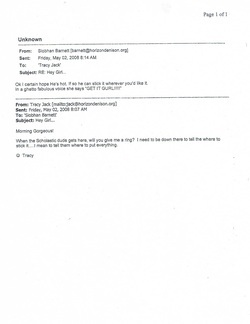 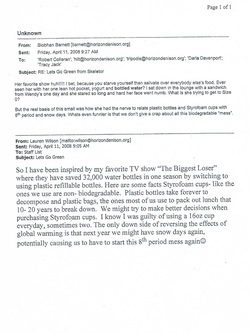 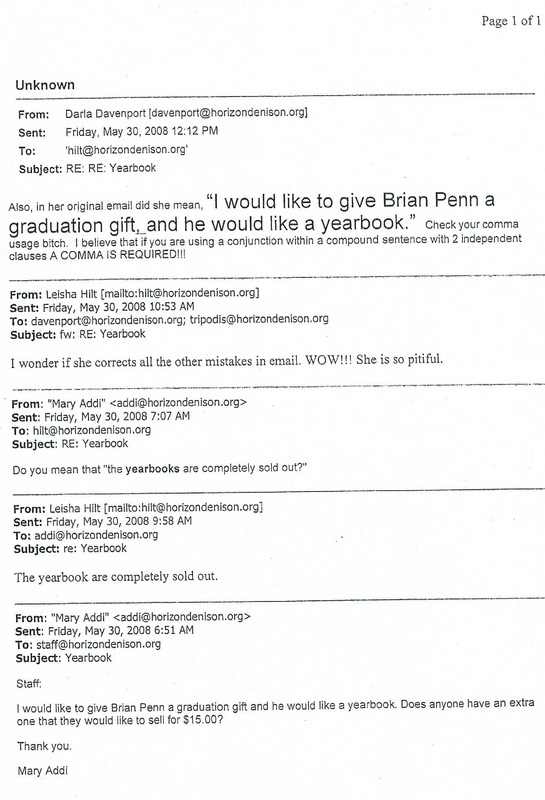 Make sure you read the email dated February 25, 2008, between Colleran and Barnett in which Barnett (the school secretary who still works at Horizon Denison), trashes the parents of students, and then tells how the kids, "annoy the crap out of her." 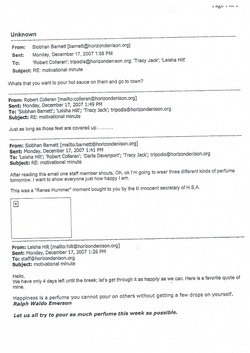 Colleran, replies, "I still hate my job," among other things, including the children -- remember, he is a teacher of children. 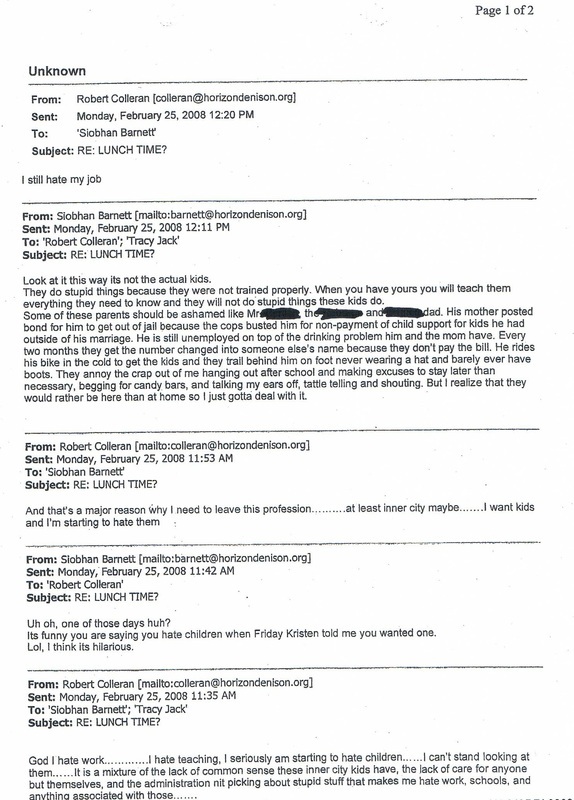 What we are most concerned about is why -- if they hate the kids and their respective jobs so much, why did they continue to work there?